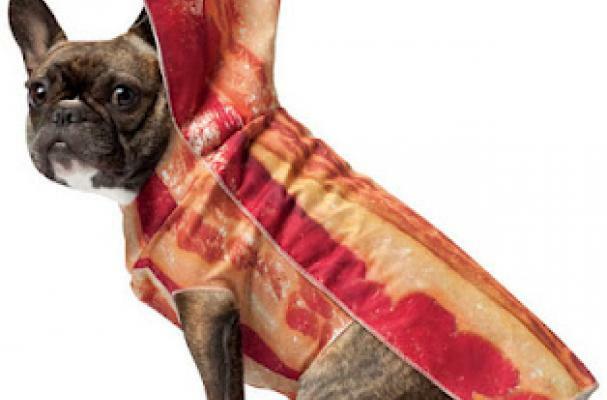 This bacon Halloween costume for your pooch will attract bacon enthusiasts and dog lovers alike. Available in multiple sizes, this costume is suitable for a Chihuahua to a Mastiff. The bacon dog costume is available online starting at $16.99.